I have yet to see a girl who does not want to own a Barbie. Every girl dreams of plying with one, one that they own. All my three girls grew up with not only one or two, but a collection of different Barbie dolls. Each have a different identity or characteristics, but all fall under one distinct image, all of which are designed to show that women can take on a variety of roles in life. My girls like any Barbie-owners look up to Barbie as a perfect image, and unmatched values. Aside from playing with their dolls, they get to be familiarized with other Mattel dolls through movies. Seeing the dolls in action gave them a different perspective of the dolls. It gives them an idea of how a girl should be defined by being caring, sincere, respectful, courteous and how to be a true princess. This time around they are not only limited to watching theses dolls on TV, they can now catch these dolls portrayed by humans. 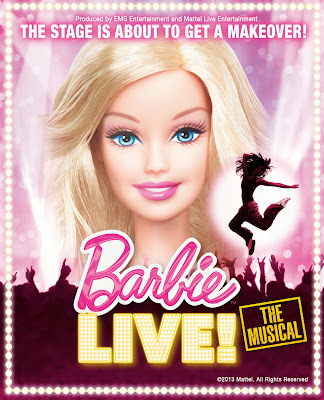 In collaboration with EMS Entertainment, Barbie will bring fans a new opportunity to sing and dance with the introduction of an all-new musical, Barbie™ LIVE! Barbie LIVE! is an engaging production featuring contemporary music with empowering lyrics, energetic choreography and a modern story line that will appeal to fans of all ages. As an entertainment powerhouse, the Barbie® brand has been bringing fans of all ages engaging content for decades. Now, Barbie LIVE! debuted last September in Singapore and will travel Asia through 2014. In Manila, the show will be staged at the Mall of Asia Arena from December 11-15, 2013 with 11 performances only. 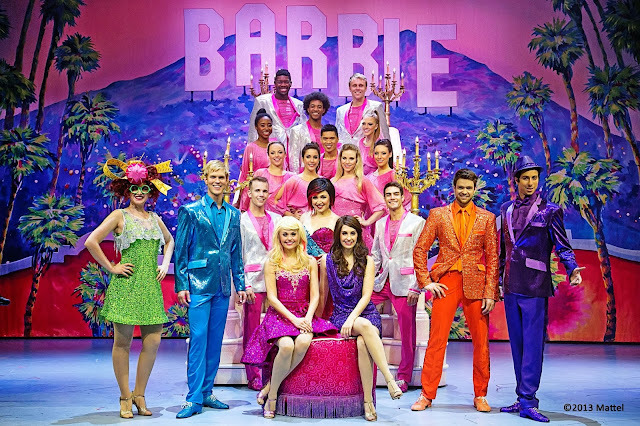 EMS Entertainment, leading global creator of high-quality interactive exhibitions, family entertainment and live stage productions, received the global touring rights to Barbie Live! from Mattel in 2012 and has worked for almost two years to bring this vision to reality. Tickets for Barbie™ LIVE! is now available in all SM TICKETS outlets located in all SM Cinema ticket booths. For schedule and ticket information, visit www.smtickets.com or call 470 2222. Barbie™ LIVE! is promoted in the Philippines by Vivre Fort Entertainment and Happy Junior Productions. In cooperation with Mall of Asia Arena, SM Cinema e-PLUS Tap to Pay, Richprime Global Inc., Toy Kingdom, Barbie Store Philippines, myDSL, LG, Astroplus, VISA, Intercontinental Manila, ABS-CBN, Studio 23, Velvet, Lifestyle Network, Fox International Channels, ABS-CBN Publishing, Businessworld, Philippine Star and 105.1 Crossover. Here is a snippet of what to expect on the musical show.